Modern Beauty Girl: Macy's Friends and Family Sale Haul! So recently Macy's had their friends and family sale, which is pretty much 25% off of everything and I got a few things... I didn't go crazy, but I got some really fun spring and summery items that I am so stoked to share with you! So the first item I got was this pair of printed pants! It's super fun and really comfortable! I love how there are pockets on the front and there's an elastic waistband. The brand is BCX I think and it was originally 30 something dollars and I got it for 20 something. I'm so excited to style it and I promise to do an outfit of the day post with these pants when I wear them! The next thing was a pair of printed shorts! 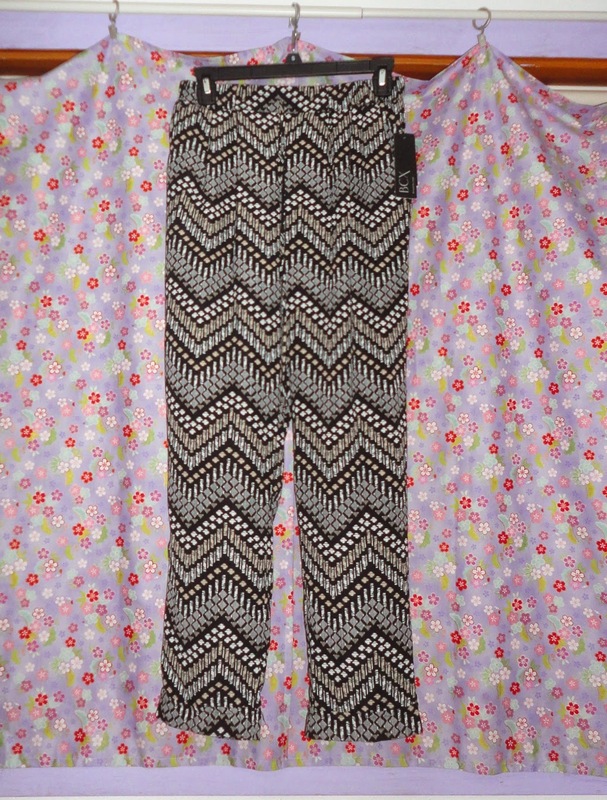 Same type of fabric and feel as the first pants, but in a really pretty print! I'm also really excited to style this and I think I'm actually going to wear this tomorrow with a black tank. I'll do an outfit of the day post with this as well! Oh and I think that this was around $28 without the sale. Lastly, I got this shirt! It's so flowy and cute! It has a v neck and back with a couple of strings running across the back. On the shoulder portions, there are lace panels that are really adorable! This shirt was $20 and I think it comes in more colors so I might go back and get more of these! So these are the things that I got from the Macy's Friends and Family Sale! Let me know how you would style the printed pants in the comments because I'd love to hear your suggestions! I was thinking a fitted top with both of the pants, but I think that a flowy top could look really cool with the shorts too! I totally agree! I love the idea of mixing colors and patterns with those pants!